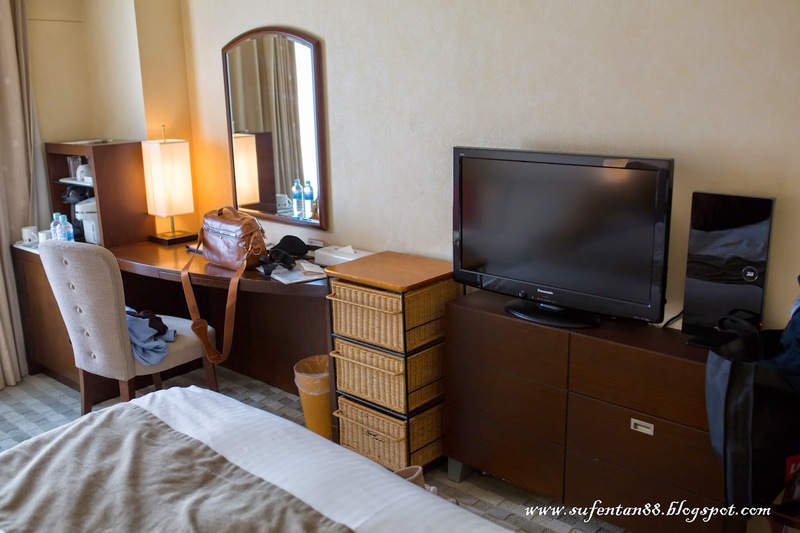 During our trip in Osaka, we stayed at Namba Oriental Hotel. Why do we choose this hotel? Few options left and so far this is the most pleasant one and nearer to the train station. 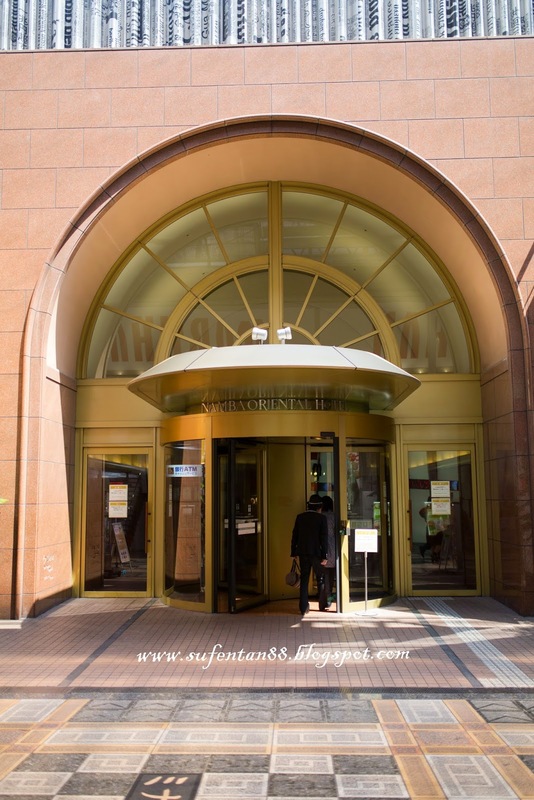 It is around 3 minute walk from Namba subway station on the Nankai line. Just for your information, if you are travelling during the peak season especially sakura time, advisable to book your accommodation 6 months in advance. I booked 4 months in advance and not much choices left. We booked around 13,900 yen per night (approximately RM 455). 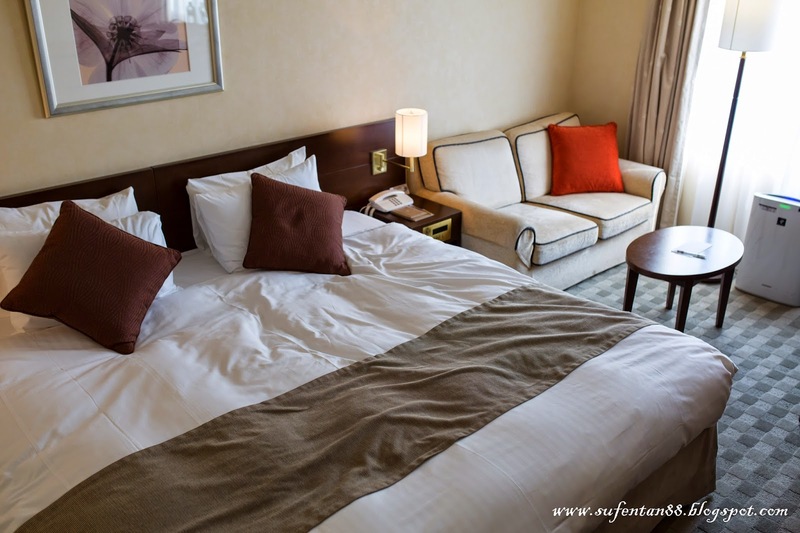 We booked this hotel from Booking.com, you can also book from Japanican.com which extend to more types of accommodation like Ryokan and also local tours. There are 257 rooms in the hotel with 4 room types-NOHQ Quality Floor (9F), Oriental Floor (7-8F), Standard Floor (5-6F) and The Garden Floor (4F). Basically, the Namba Hotel is situated at third floor in the building where first and second floors are mostly restaurants. We booked the Oriental Floor with 23sqm space, the room is quite narrow. There is no wifi in the room, you will have to use the wifi at the common area. 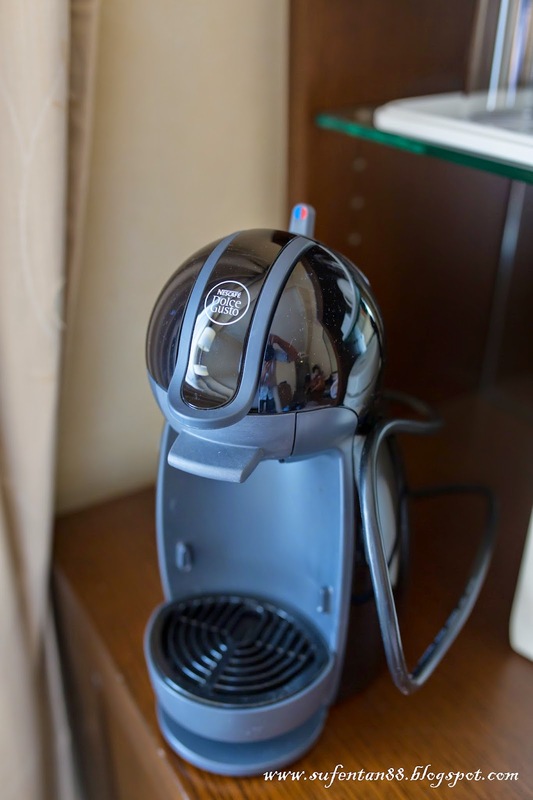 They even provide NESCAFÉ® Dolce Gusto™ at the mini bar in the room, however each capsules is charge 200 yen. You will be charge upon check out. This is so far the biggest toilet we encountered during our whole trip in Japan. 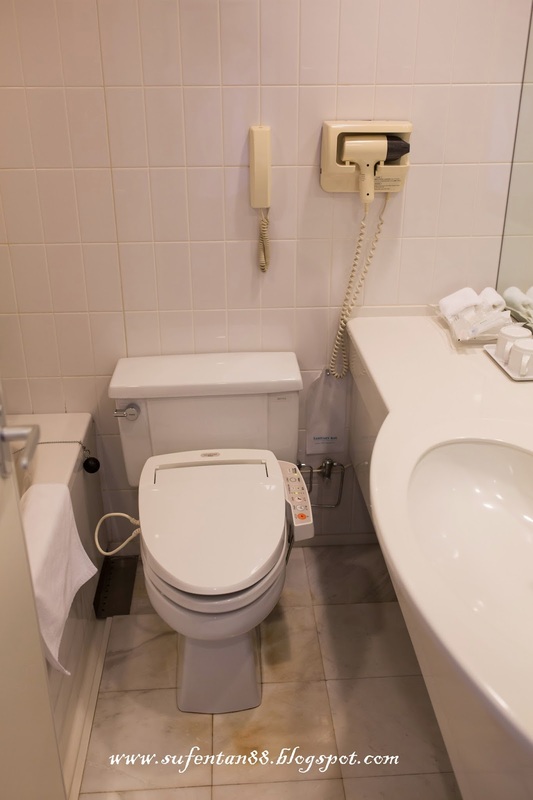 Don't be shocked, a lot of hotels in Japan actually do not have bathroom and toilet attach together. Be more caution when you book your hotel, read carefully their description. If not you might end up having bathroom in the room and public toilet outside the room. So far, this is the best one we can find from the limited choices. Here is a map to the hotel, it is just around the corner of Bic Camera. I actually quite like the location of the hotel, one step out of the hotel, you can easily find restaurants and food stalls along the road. Convenient shop and Mcdonlad are just beside the hotel, walking distance to the subway as well. I would definitely come back again.